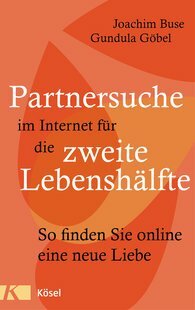 Is it possible to find love on the Internet, even if you are not an experienced online user? Even though he had never dealt with online dating before, Joachim Buse at the age of 59 met his new partner on an Internet platform. Here he describes his experiences with all the wonderful and bizarre encounters, and the advantages and pitfalls of this kind of dating. The psychotherapist Gundula Göbel supplements his stories with background information from a psychological perspective and provides tips as well for self-reflection. Here the authors accompany readers from their first registration on a website, through their first dates – and all the way to their new relationship.